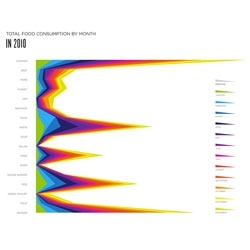 Lauren Manning captures a year's worth of meals in a wide array of beautiful infographics. 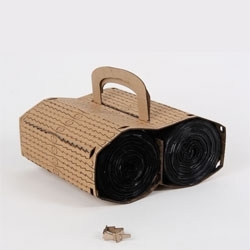 No, this is not Wall-e's head but a strip of cardboard holding two huge rolls of garbage bags. Easy to transport, packaging actually becomes the clips used for closing the bags. 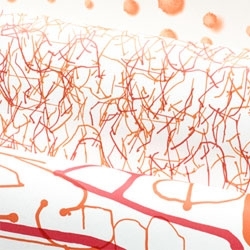 Developed by Pierre-Luc Desharnais. 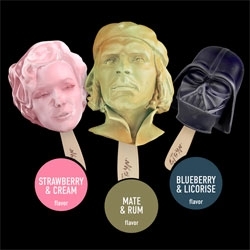 Pop Culture Popsicles from STOYN Ice Cream. 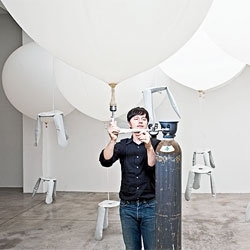 Flactuated [Flat] Scape - computational installation workshop for students of The Royal Danish Academy of Fine Arts, School of Architecture, by Toshikatsu KIUCHI + whiteweekendkites. 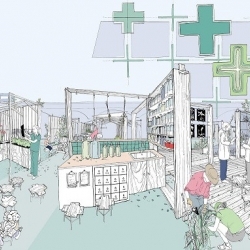 This summer a medicinal garden blooms on a slice of neglected London land. 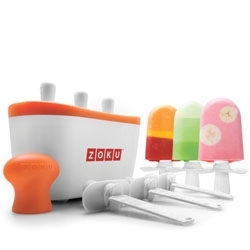 Zoku's quick pop maker. 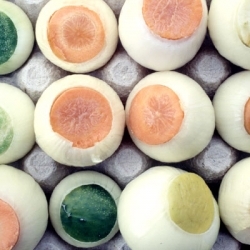 Beautiful for summer! Danny Venlet's Goggle Desk for Babini Office. 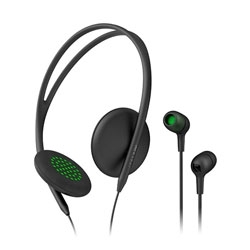 The Incase Audio line launching this September. Anouk Wipprecht’s cocktail-making dress. Wipprecht, a Dutch fashion designer, joined hacker Marius Kintel and sculptor Jane Tingley to create a revolutionary “biomechanic hybrid cocktail robot” getup. 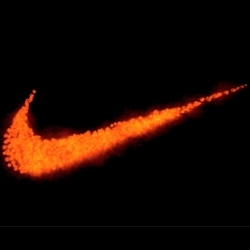 VIDEOThe energy flow generated through yoga asanas becomes spatially & visually manifest in increasing scale, from molecular level blood cells to the distinctive surrounding architecture, in this Nike spec commercial. 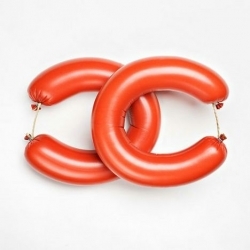 FabFood by photographer Linus Morales. 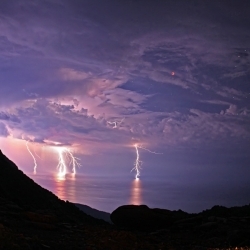 Chris Kotsiopoulos captures an incredible shot of lightning bolts during a lunar eclipse. 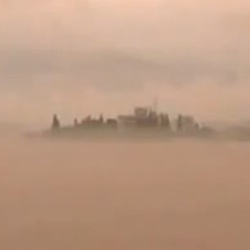 VIDEOAfter a heavy down pour, a remarkable mirage appeared over the Xin’an River. The mirage showcased mountains and a city scape. 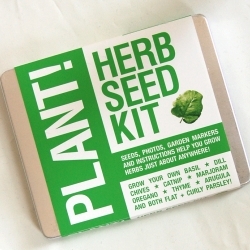 Green up your world: Grow your own herbs in your kitchen window or outdoors, with this kit of seed for 10 herbs, instructions and garden markers. 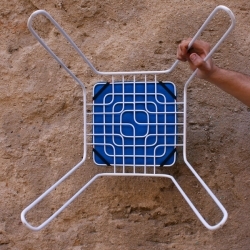 A selection of furniture and lighting by Barcelona multidisciplinary studio CreativeAffairs. How about a Speed Date? Not with girls.. but with 3 nice looking cars! 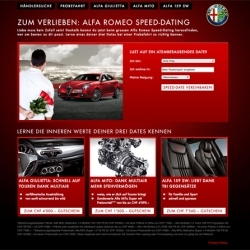 Amazing online campaign for AlfaRomeo from OgilvyInteractive in Switzerland. 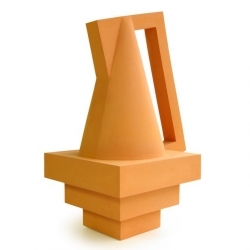 The new 'Secante' ceramic collection by French designers Atelier Polyhedre was presented for the first time at Designer's Days 2011 in Paris last week. 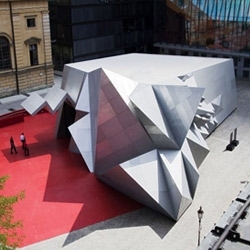 A pop-up Opera, in Munich, by Coop Himmelb(l)au! 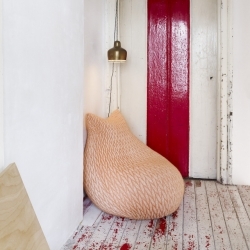 Poufs designed by Aleksandra Gaca studio, specialized in both the design and facilitating the production of innovative fabrics. 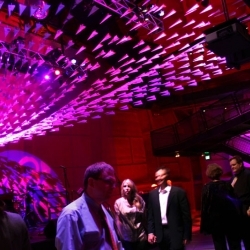 Installation for ArtsFund annual party at the Frank Gehry Experience Music Project (EMP) by Matthew Parker Events. 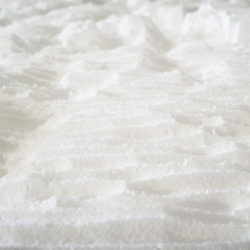 The piece includes 1000 paper airplanes made from recycled newsletters from the offices of ArtsFund. 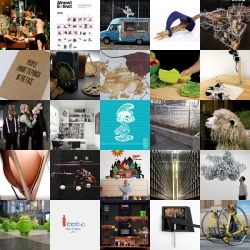 FEATUREDBeautiful roundup of design inspiration from here at NOTCOT.org. 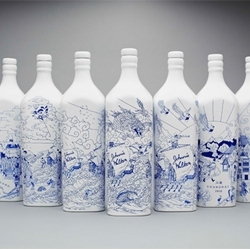 Chinese willow pattern inspired Johnnie Walker porcelain whisky bottles. Designed by creative agency Love, illustrated by Chris Martin. 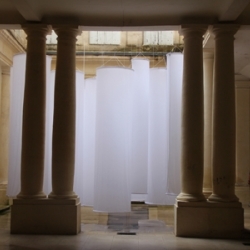 'Expo of experiences' is an installation by GOAGROUP for Festival des Architectures Vives in Montpellier. 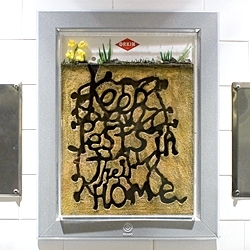 VIDEOAn ant farm with live ants to raise awareness for Orkin, a pest extermination company. Intricate tunnels spell 'Keep pests in their home' by Rethink. 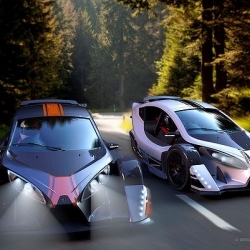 Australian firm Design+Industry has just unveiled the Strike Trike, a three-wheeler built with a tubular spaceframe chassis wrapped a stylish semi-enclosed body with a removable roof panel. 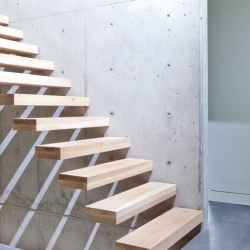 Christian Woo is a Vancouver-based furniture designer and builder whose work is informed by the natural setting of the Pacific Northwest and subtly influenced by the sleek and refined, yet warm aesthetic of Scandinavian and Japanese design. 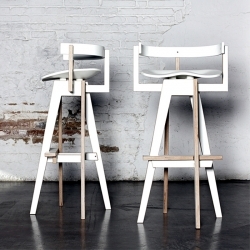 The Xemei Stool was designed Juan Pablo Quintero of MEDIODESIGN for Barcelona's new Venetian Restaurant - Xemei. This restored home in France is beyond what one would expected it to be - the use of the old and new is perfectly balanced and the minimal and cosmopolitan characteristics leave you wishing if only you could enter this home for a tour. 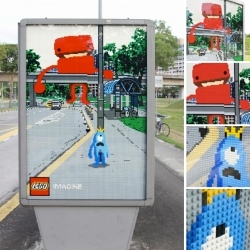 Great oudoor for Lego by Ogilvy Malaysia. Icon Magazine on Oskar Zieta. Solo House in Matarraña. 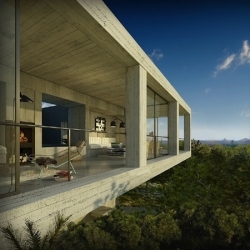 PVZ studio is planning on building this villa in Cataluna dominates the landscape, perched on a concrete podium. 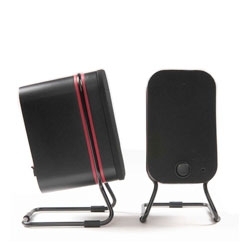 Love the look of these Lower East Side Media Speakers from Audyssey. 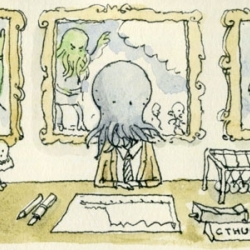 Your glory days are over mr Cthulhu, a short story loosely based on characters from the HP Lovecraft universe by Mattias Adolfsson. FEATUREDReal life Farmville? 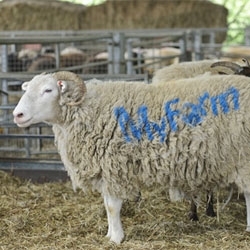 The National Trust's MyFarm experiment takes over the Wimpole Estate's real life farm. 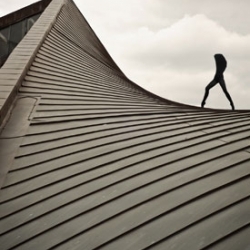 Julien Capelle is a french director, photographer living in Paris. He works mainly on the shapes, colors and textures. Is this Art? Barcodes enter expressionist period. 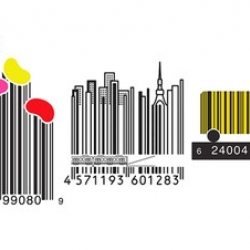 Some proposed barcode designs, cute, clever, and definitely to get out attention, as seen in the wallstreet journal. 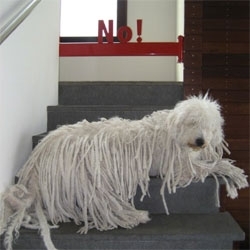 Love this No Doggie Gate from EtchBoo (Jason Fort). 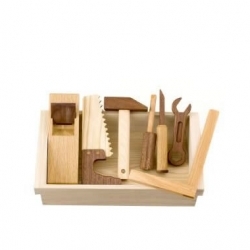 Here is a quality and natural wooden toy tool set from Northern Japan. 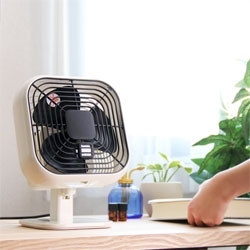 Made of natural wood and coated with natural oil. 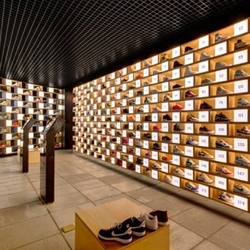 Sneakerology by Facet Studio is a sneaker shop interpreted as a sneaker museum. Knoll Studios introduce a new series of wallcoverings by Abbott Miller of Pentagram called the Ink Collection. 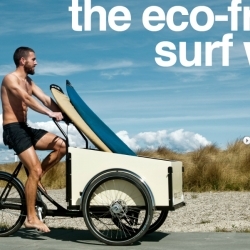 Boxcycles come to the US — perfect for toting surfboards, groceries, or kids! A must see design project where your entire apartment can fit in ONE single box! VIDEORunning on empty. A new video for the song Life is Life by Noah and the Whale. Directed by rock and roll photographer Autumn de Wilde. 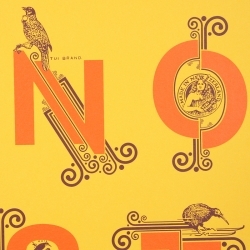 Graeme Offord is kiwi born art director living in NYC. He has dug up some old uni work and made limited edition prints. This alphabet is off the chain epic. 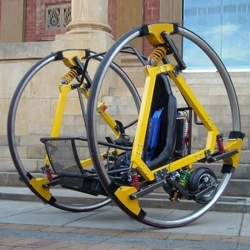 Edward, an electric dicycle–a vehicle consisting of two giant side-by-side wheels–designed and built by students at the University of Adelaide. Imaginary Castle: new wall decal from Patrick Hruby and Blik. What if nothing exists and we're all in someone else's dream? 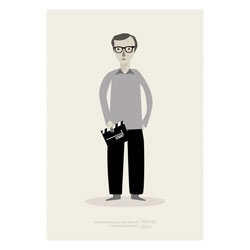 - Woody Allen. Cute print by Judy Kaufmann.